MySQL Shell : the best DBA tool? The audience seemed very interested on how the MySQL Shell can be extended. 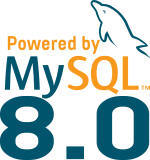 I hope you will enjoy the MySQL Shell even more and that you will start contributing to these modules.